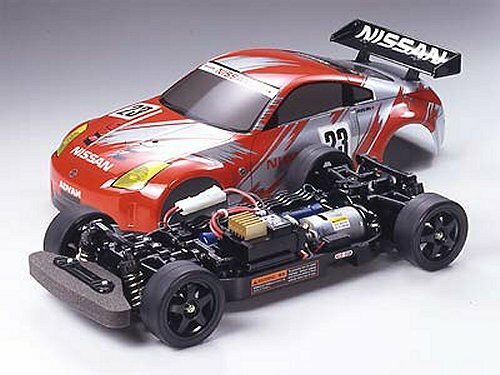 58304 • Tamiya Nissan 350Z Race-Car • TT-01 • (Radio Controlled Model Archive) • RCScrapyard. 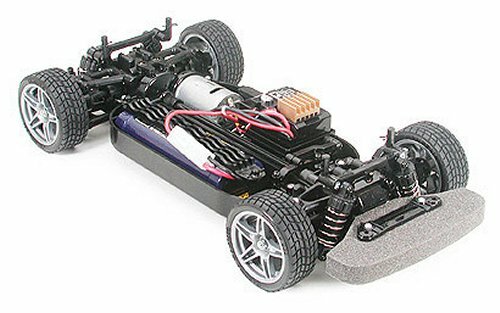 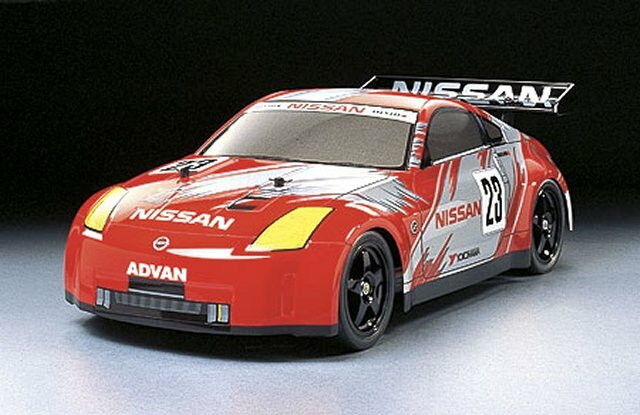 Released by Tamiya on June 25, 2003, this TT-01 Chassis electric RC model, is of the Nissan 350Z Racing Concept Car that was unveiled at the same time as the market version of the 350Z. 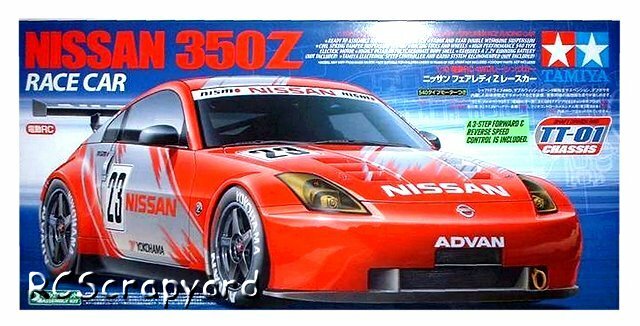 The lightweight Lexan polycarbonate body shell accurately recreates the sleek sports car lines of the Nissan 350Z with its large rear wing.